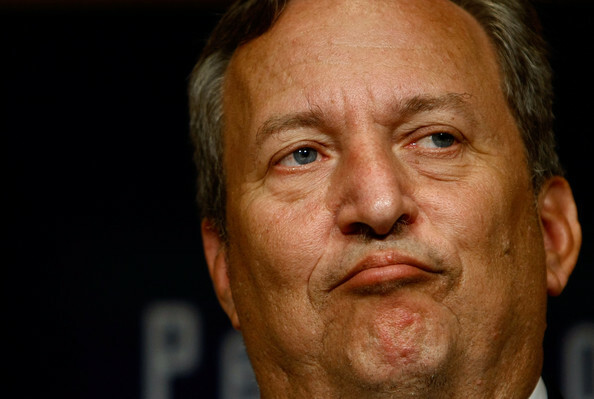 Lots of debate in Blogistan and elsewhere about President Obama’s apparent desire to appoint Larry Summers as Fed Chair. We know (or at least we think we know) that he is brilliant, but he has a strange tendency to get matters of judgment wrong. He supported the abolition of Glass-Steagall, endorsed deregulation of the financial industry, and seems to have little desire to admit that he got these things wrong. Plus, there are sexist overtones to the seeming refusal to want to appoint current Fed vice-chair Janet Yellen, an outstanding economist in her own right. All right. But what does this have to do with climate policy? Interestingly, a few years ago, Summers participated in a Council on Foreign Relations task force regarding climate policy options. Like all CFR task forces, this one was self-consciously centrist, chaired by former New York Governor George Pataki (relatively moderate Republican, especially on climate issues) and former Iowa Governor (and now Agriculture Secretary) Tom Vilsack (moderate Democrat). Its report, Confronting Climate Change: A Strategy for US Foreign Policy, is a quite comprehensive view of the stakes of climate policy, at least as of June 2008, when it was written. It recommends putting a price on carbon, reducing emissions to the Kyoto level, and several other policy options. Summers signed it. But interestingly, Summers also appended a very short “comment” to the report, which says something about potential behavior as Fed Chair (how much is up to the reader). 1) Summers gets the politics of climate change exactly 100% wrong. The gravamen of his argument, i.e. “we are hurtling toward overregulation in the climate sphere” was wrong at the time and has been proved to be completely inaccurate. To the extent that a Fed Chair has to be cognizant of political trends, this is not a good sign. Anyone can get political prognostication wrong: but to go out of your way to get it wrong is a black mark. 2) Summers makes no real substantive contribution in his comment. He seems simply to want to emphasize, “I am thinking about things that no one else is.” This on a task force with some of the leading thinkers in the field. This does not bode well for a position like Fed Chair, which requires building consensus. 3) He was wrong about what other people are thinking about. Scholars and policymakers have been thinking about uncertainty all the time and had done so for more than a decade. 4) To the extent that his emphasis on short-term costs and long-term benefits is a sub silentio call for a carbon tax, he was also wrong about its salience: the carbon tax idea was being promoted literally by dozens of scholars and policymakers. 5) To the extent that his emphasis on short-term costs and long-term benefits is a restatement of the need of a high discount rate, it is not backed up by any facts or reasoning. It also is wrong on the absence of short-term costs. I keep hearing that Summers is a very brilliant man, and would do a wonderful job as Fed Chair. To the extent that his intervention in climate policy is any indication, there is absolutely no evidence of this, and in fact the evidence demonstrates the opposite. I’m assuming for the time being that the Emperor has clothes: but it would be nice to see them eventually.